As I mentioned in yesterday's post, I'm really trying to change things up on the blog and add some additional content. I love DIY projects, whether it's fashion or home interior, and I want to try and integrate it again. Over the holidays, when Hallmark Channel was once again available on U-Verse, I found myself sucked into all the holiday movies. And one morning, while McKinley was in school, I flipped over to find a sweet talk show called Home and Family. I was immediately hooked! I loved everything about the show and found myself drawn to Orly Shani and all of her amazing DIY fashion. If I couldn't watch the show, I would watch the first five minutes to see if she was going to be on that mornings episode, and record it if she was. I didn't want to miss a minute of what she might be creating. And here we are in March, and I'm still watching and learning from everyone involved. Side note; I love Debbie Matenopoulos as well! 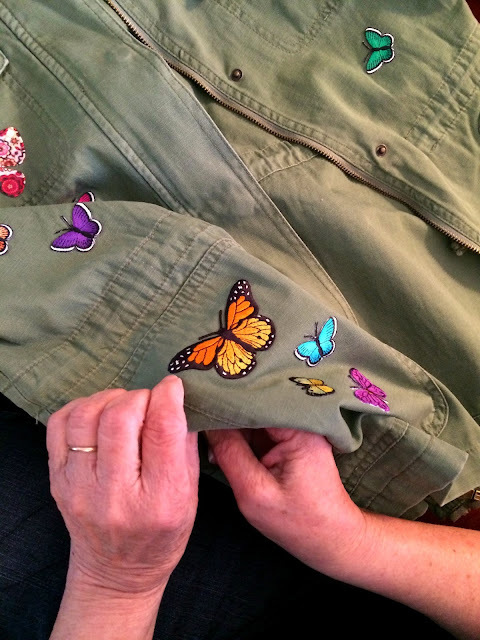 So just last week, Orly had these amazing embroidered jackets with beautiful floral designs and the most colorful butterflies. It turns out, Valentino created an embroidered butterfly camo jacket that I'm sure retails for thousands of dollars! 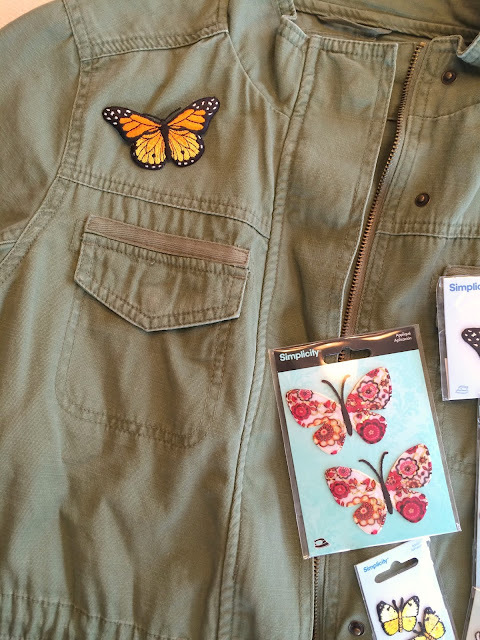 Orly recreated one, using a vintage camo jacket, with butterfly applique iron-ons! Brilliant! I can totally do that. And I did! 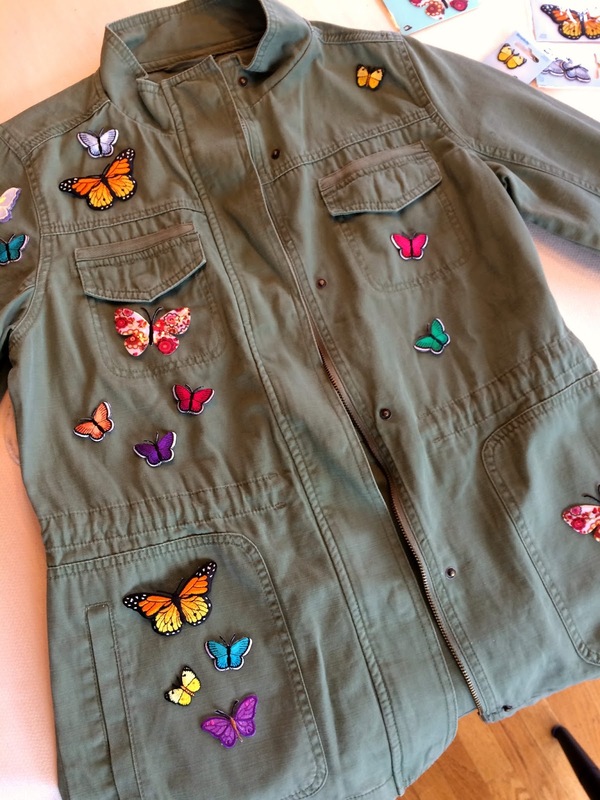 So here is my field jacket and some of the butterflies I chose. I went with large ones and small ones to create balance throughout the jacket. 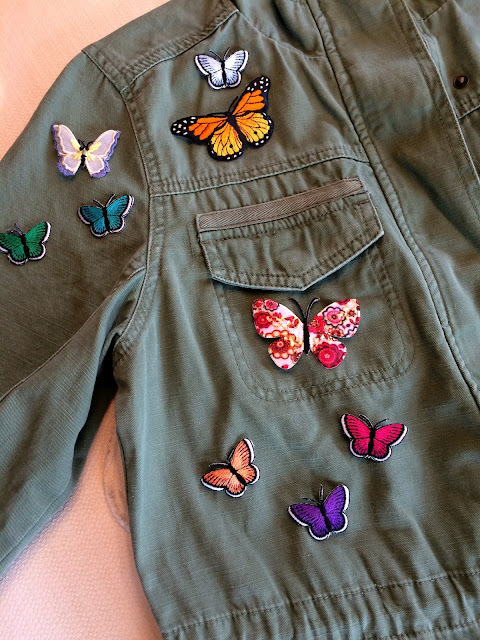 From there, I placed butterflies all over the jacket, in random patterns, mixing the large and small with colors that complimented one another. Then it was time to start ironing. Make sure you follow the simple instructions on the back of the applique. It's super simple. Just heat a dry iron to the hottest setting, place a thin towel between the applique and iron, and press down for about 10-15 seconds. If you aren't sure of the applique is sticking, simple lift a small corner to test. If it's not, continue to run the iron over the applique. After it's adhered to the fabric, turn the jacket over and iron it from the underside. Do the same thing you did to the front of the jacket. 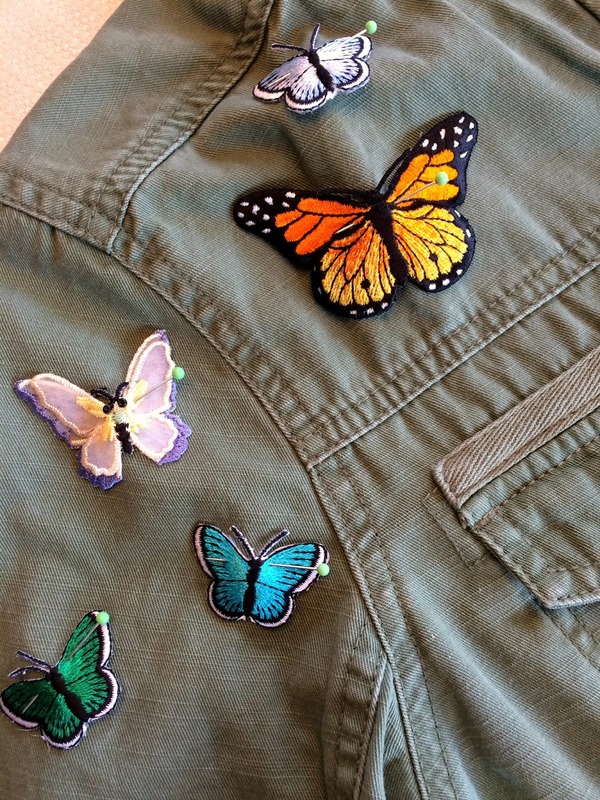 Do this for each individual butterfly. 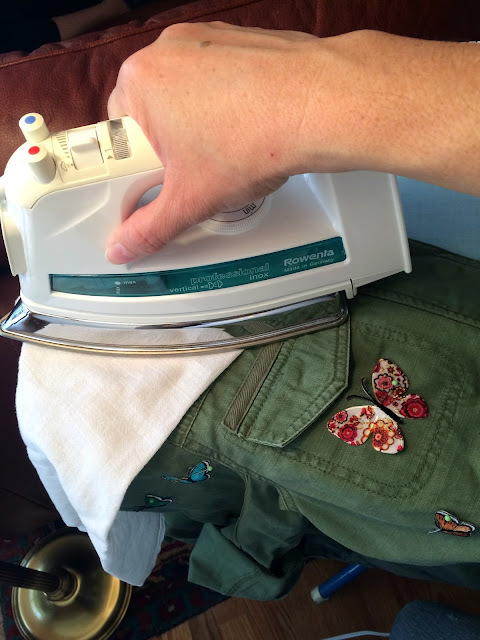 Ironing Tip: Make sure to remove the pin before you run the iron over the applique. Once all butterflies, or appliques, have been ironed into place, you may want to go back and tack down the corners to ensure they don't pull away. This last step is completely optional, but since I added a few to the shoulder, I thought my handbag might rub and cause the corners to pull away. 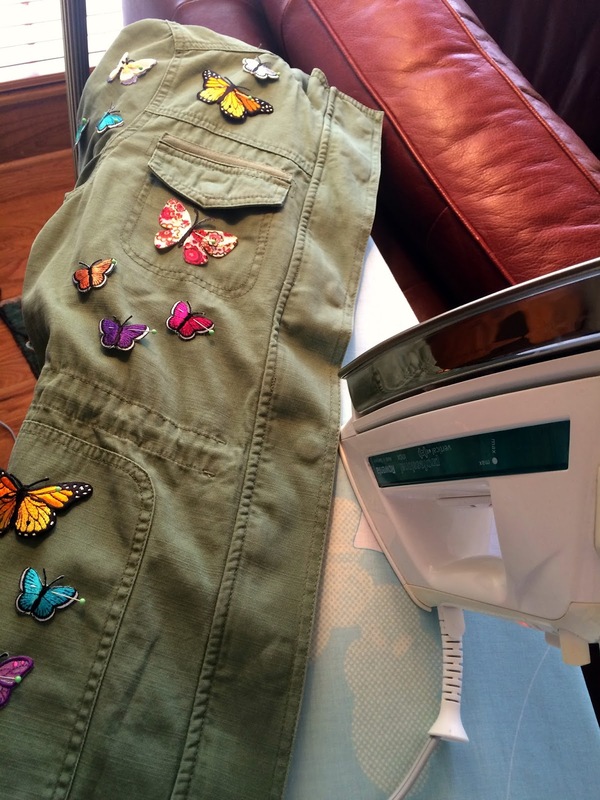 I had my mom help, we took turns stitching butterflies, and we tacked down each corner with two stitches per corner. And we've decided, if anything does start to pull over time, we will simply use fabric glue to re-adhere. This is one of the cutest things I've recreated in a long time and I can't wait to style it!! And, I can't wait to hear your thoughts. Will this be something you will try to make? Would you use different iron-on appliques? 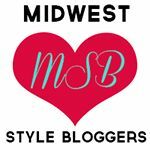 Did you think I had forgotten I had blog? Well, I haven't, I just haven't been well enough to blog. Or get dressed. Or even care about anything fashion related. I apologized to my husband last night that I have been looking like pure crap for about two weeks. In all honestly, I've been sick for two months, but I had learned to live with it. Then the sinus infection settled in and I was down for the count. Or as down as a mama can be. We took full advantage of spring break last week, taking a trip to the zoo, having lunch at Chuck E. Cheese, and spending an afternoon at the mall. We even took a long weekend and went down to my parents house at the river. It was nice to get away for a few days. So Fancy That.....I'm back! I told my mom that today was the first day I actually felt well. 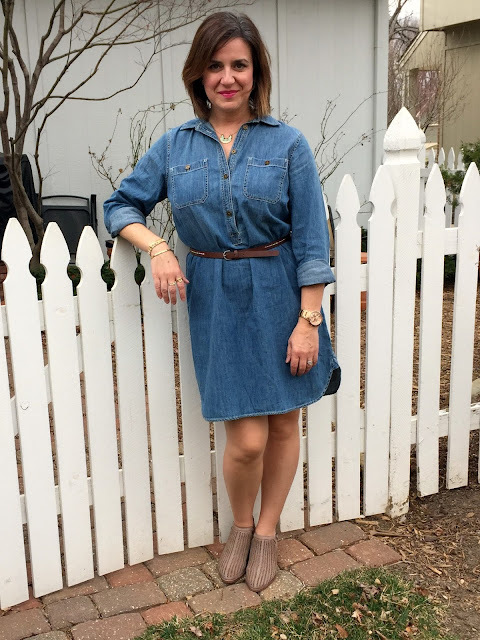 I didn't feel great, but I felt well enough to do my hair, add a little makeup, put on actual clothes, and finally take some blog pictures. I would say things are looking up! Here's the other thing. I'm completely uninspired right now. 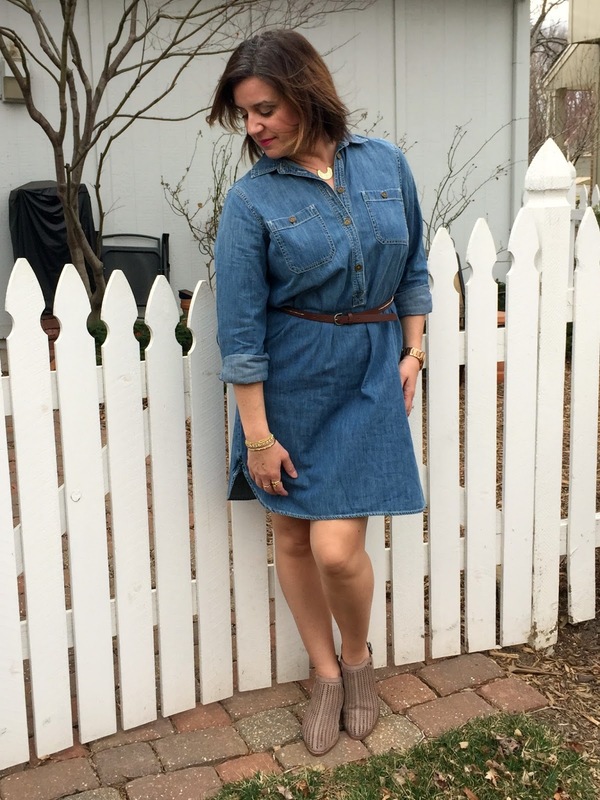 I feel like I ebb and flow with this blog. I feel like I grow weary of taking daily photos that aren't all that fashionable. I'm excited about bringing Friday Beauty back into the mix. And I think I might bring back some DIY stuff. I'm completely obsessed with the Hallmark Channel daily Home and Family show. 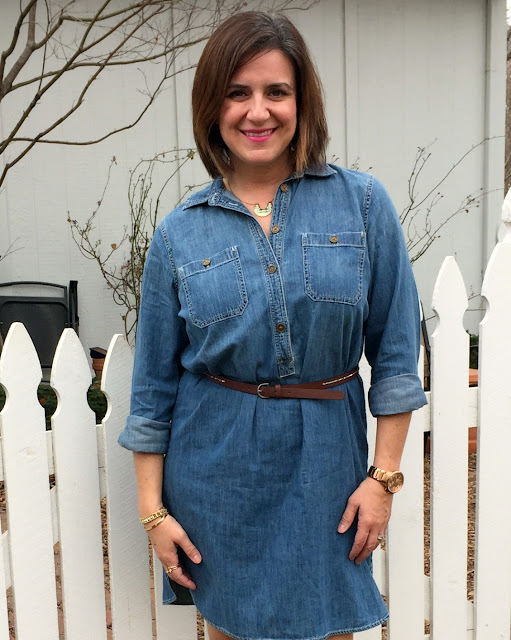 And, I'm even more obsessed by Orly Shani and all of her amazing fashion DIY segments. I've gotten the point where I tape the show when I know she's going to be on. I don't want to miss a segment. With that being said, look for an amazing DIY coming soon. Maybe even this week. 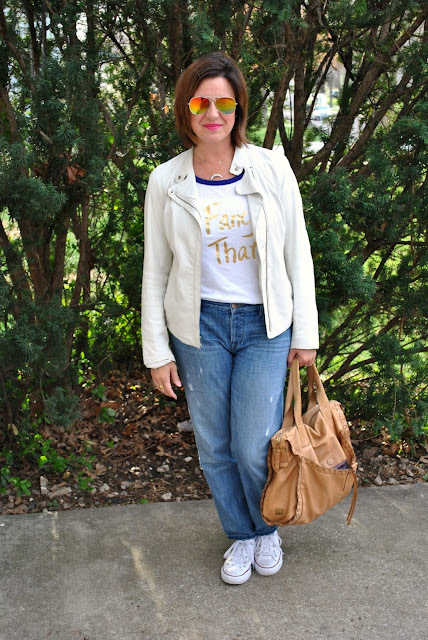 She completely inspired me by this jacket and I've recreated my own. I can't wait to share it with you! What else would you like to see? What do you like to read about? What things do you think I'm lacking on this little blog? I would love to hear your ideas. Your thoughts. Feedback is what keeps up going. Keeps us growing, right? 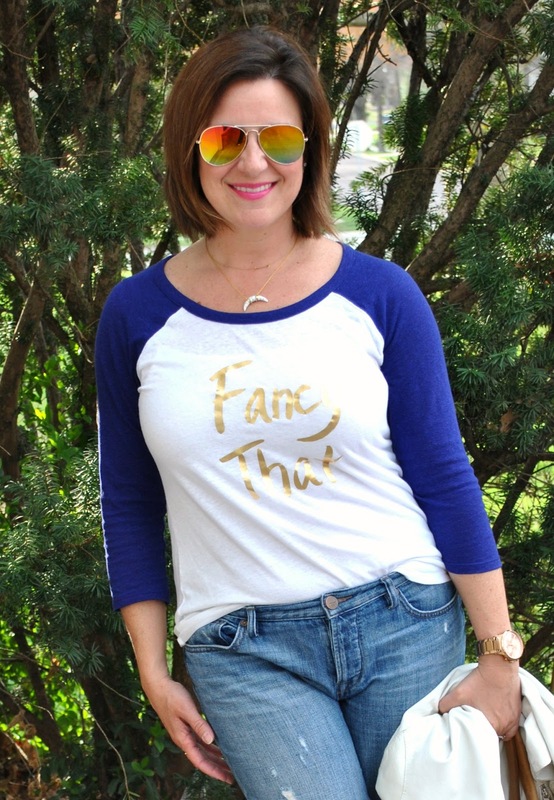 It's been a while since I've blogged about anything beauty. To be perfectly honest, I haven't really done anything super beautiful around here lately. I rarely wear makeup anymore, I hardly get the chance to paint my nails, and I only wear lipstick when taking blog photos. I'm a fraud. A sham. But I've never claimed to be a beauty expert. 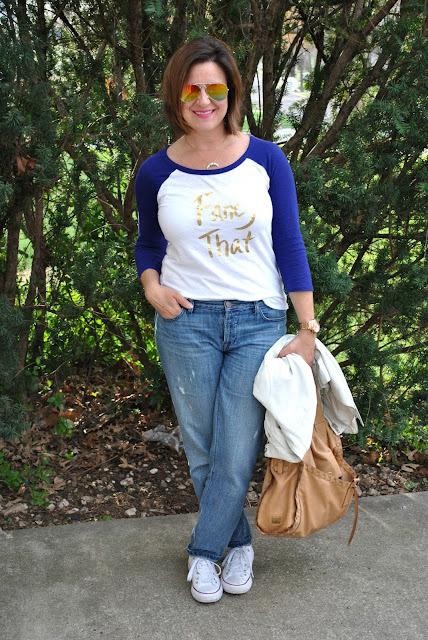 I just simply blog about the things I've tried, dislike, and truly love. I love MAC lipsticks and one of my favorite spring colors is Girl About Town (upper left corner). It's actually the first bright pink I ever purchased and I never looked back! And if I'm wearing it on my lips, I should probably wear it on my nails! Girl About Town comes in a nail lacquer and I'm so excited!! But I'm loving Show Orchid (bottom right corner) that was featured in Sandra Lee. It verges on purple, but it's simply lovely! Lastly, I really want to try their Playland Casual Colour in Young At Heart. It's a lip and cheek color in one, which is definitely a must-have for your handbag cosmetics! Nothing like a multipurpose touch up in a cute little tub! When I get to polish my nails, I gravitate toward pinks for spring. Essie is a go-to and Cascade Cool is new for spring (bottom left corner), one I love wearing for a subtle hint of color. For a big pop of color, I'm loving the new Love Sheen from their Silk Watercolors collection (upper right corner). I'm a huge Clinique fan. As you all know, I swear by their 3-Step cleansing program and I frequently wear their cosmetics. They now have a cheek contouring palette that I would love to play with. I'm not sure how to contour, so I'm thinking I need a tutorial, and I'm totally up for the challenge. And those cute little pods are dual-sided lip treats that have a sugar-smoothing scrub on one side and a tinted moisturizing balm on the other. And the Pink Framboise is gorgeous! 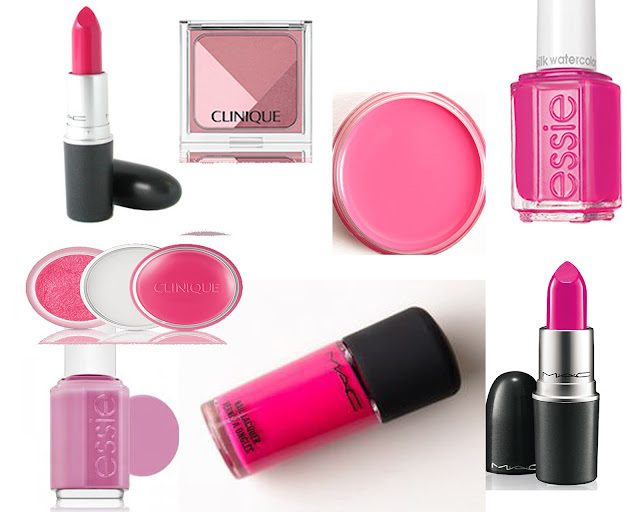 Actually, all these shades of pink are gorgeous and there is no way you won't be pretty in pink. Side note: Did you know that this year is the 30th anniversary of Pretty in Pink? One of the best 80s movies, in my opinion, and who didn't love Duckie Dale!?! Okay, I digress. Are any of these hues going to be on your spring and summer makeup radar? I know they are on mine! Seriously, I can't wait to test out some of these products and report back. It's a tough job, but someone's gotta do it right? Last Sunday I hosted book club with my mom and it was so nice getting the girls together again. However, I didn't finish the book. Anyone out there read All the Light We Cannot See? Well, I tried. I really tried. I started the book in January and by late February, I was only on page 50. I just couldn't into it. Then, it just seemed to take off around page 100, but it was too late for me to try and finish. Since I was hosting at my house, cleaning was top priority, and when I say cleaning, I mean I cleaned for three days!! I did a lot of extra things, spring cleaning things, because it was time. As for the book, I'm still 1/3 of the way through. I enjoyed the discussion though. And I'm ready to tackle the next book. It was a gorgeous spring day. I opened the kitchen windows to let a breeze blow through and went bare legged for the first time this year! Yes, I need a little color, but it's March. I know I'm not the only winter pasty girl out there! And it felt good to wear a cute dress. And the booties! I've been dying to wear them since December and finally got my chance. I've actually worn them several times this week and I know spring and summer will find me in them as well. 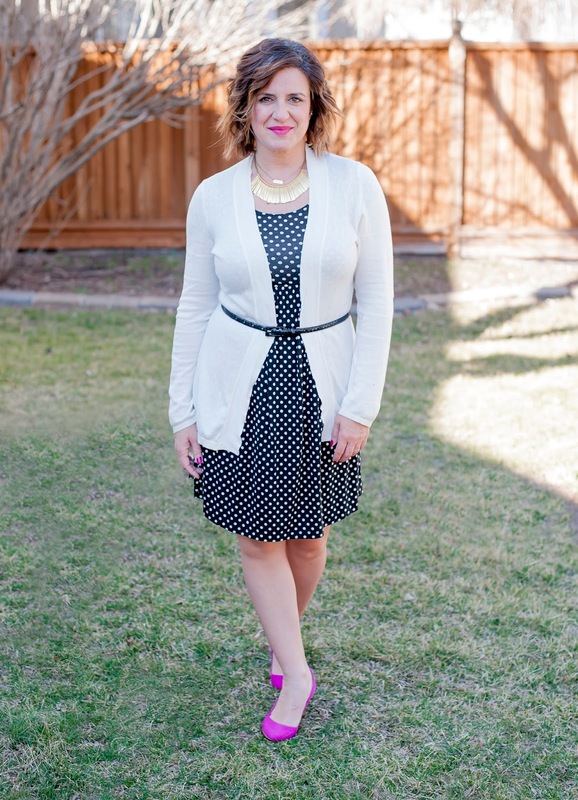 The best neutral, a perfect heel height for dates with McKinley, and so comfortable. A definite shoe score! Have you dared to go bare yet? Next week it's supposed to be close to 80 around here. And it's Spring Break. I'm not sure I will wear shorts just yet, but I am loving the idea of cute spring dresses. I adore this time of year!! 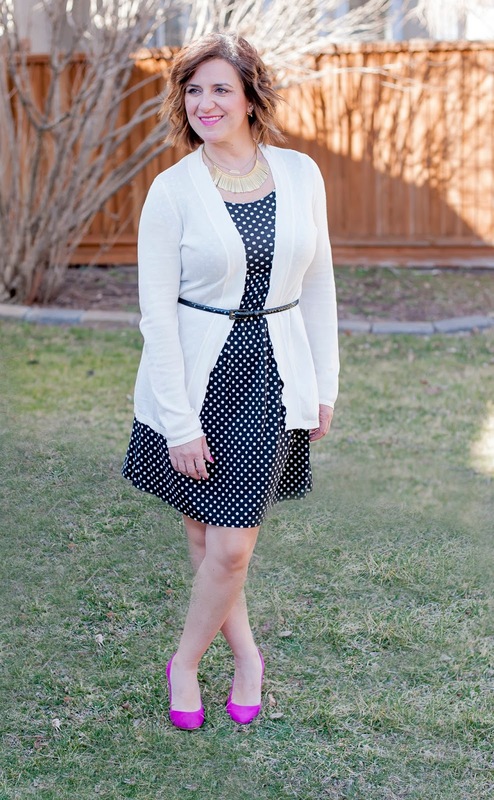 But with these warmer temps, I've found that I'm reaching for spring sweaters and I don't own very many. I have some light weight versions that are more for late April or early May, but nothing in the heavy cotton genre. Even a light weight cashmere would work. But what I have is heavy winter sweaters that just aren't right. And the colors are too dark as well. I mean, I love a good gray and black sweater, even in the summer, but I would also like something in a cheery cherry red or pretty pink. Spring time colors! And I think I've found them. I've pulled together eight that I think are perfect for this time of year or later in the summer with shorts. 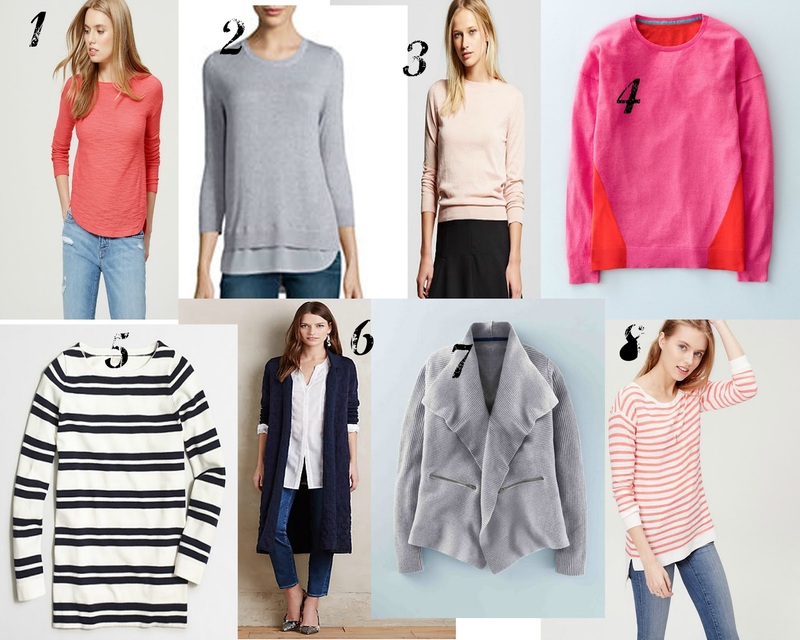 I'm obsessed with all of them really, but my favorites are the hot pink and red from Boden, the coral sweater from Loft, and the long navy sweater from Anthropologie! Which ones do you like? What spring pieces are on your radar? Do you own the perfect spring sweater that you wear from year to year? I think any of these would do the trick! I've wanted to write a post like this for some time, but I wasn't really sure how to write it and what to really say in it. By definition, an entrepreneur is "a person who organizes and manages any enterprise, especially a business, usually with considerable initiative and risk." That sounds a little dry, don't you think? 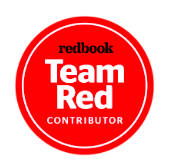 How about someone who starts their own business on blind faith, passion, and the desire to work for oneself. Someone who, let's say, takes a leap! And that's exactly what I did when I decided to start my own business as a Stylist with Stella & Dot. I knew I wanted to "go back to work" after being laid off almost two years ago, but I also knew that I didn't want to go into an office on a daily basis. I did that for almost 15 years. And before that, I worked countless nights and weekends as a manager in retail. Before that, it was college with a very part time job one day a week and on the weekends with two jobs in the summer. I'm very well aware of what work is all about. But at almost 42, and with a four year old at home, I didn't want to spend the next half of my life working for something or someone I didn't believe in. And working for myself, someone and something I believe in, seemed the right fit. 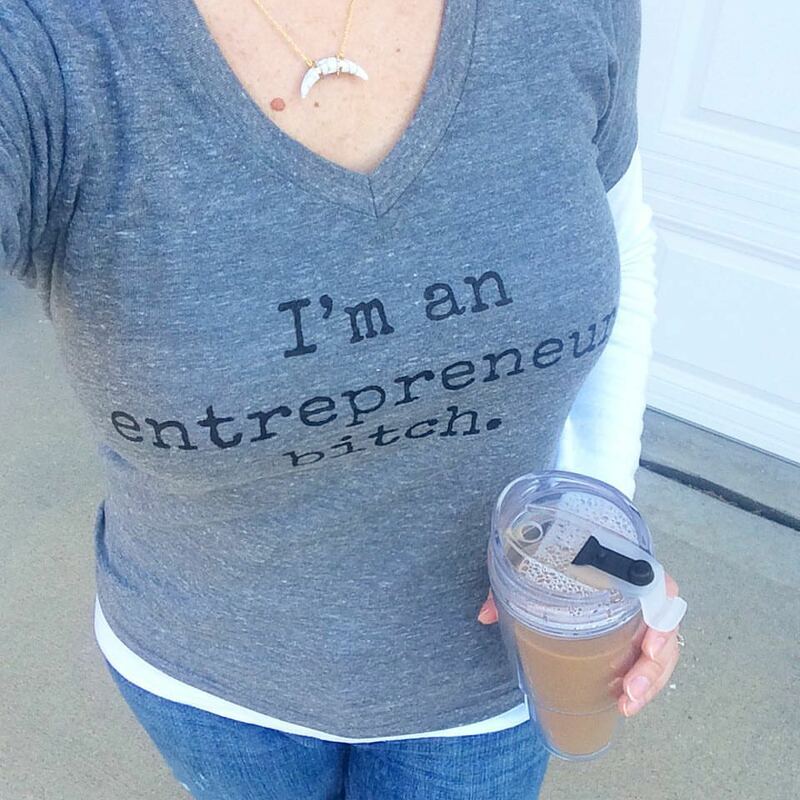 Before I ever decided to truly start my business, I had a lot of naysayers and still do. And I have to say, they are the ones that helped ignite the flame. The ones that helped me decide to take the plunge. They are the ones that I want to prove wrong! My business started out blazing. The next month, good, but not as good as the first. The third month, not so great. It was December after all, a horrible time for anyone who knows retail, and without an established business I worked for every customer I received! With 2016, January started out okay (actually I hustled like no other with decent results), and February gave the appearance to be an upward trend. Then March hit. And I feel like I'm drowning in a sea of nos and little to no response. 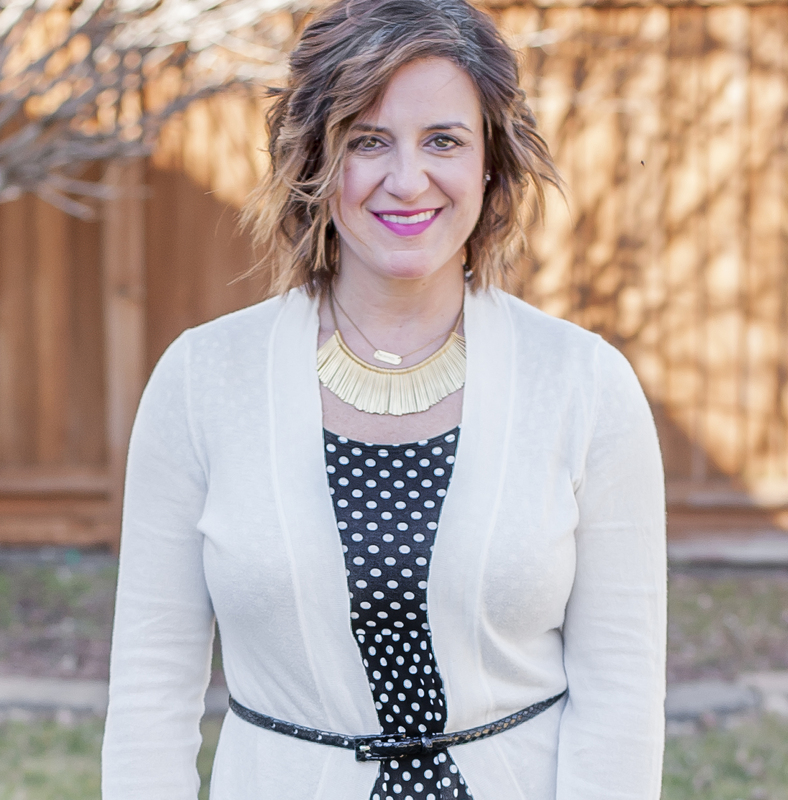 Stella & Dot is a direct sales company, so you as a business owner rely solely on sales from your customers. The customers you physically drum up daily, weekly, monthly. And what really drives your sales are trunk shows or home parties. You get repeat hostesses, those that just love the product and want the free jewelry as often as they can get it, or from new customers you meet at said parties. And then there's the occasional outside order. I love those! Actually, I love any and all forms of sales! That's what drives home my paycheck. A paycheck that I can feel good about because I did it all on my own. But for right now, I'm feeling lost in my business. I'm doing all the things I'm supposed to be doing. Reaching out to past customers, future customers. Emailing, texting, sending messages on Facebook, calling potential customers, and posting on all forms of social media. 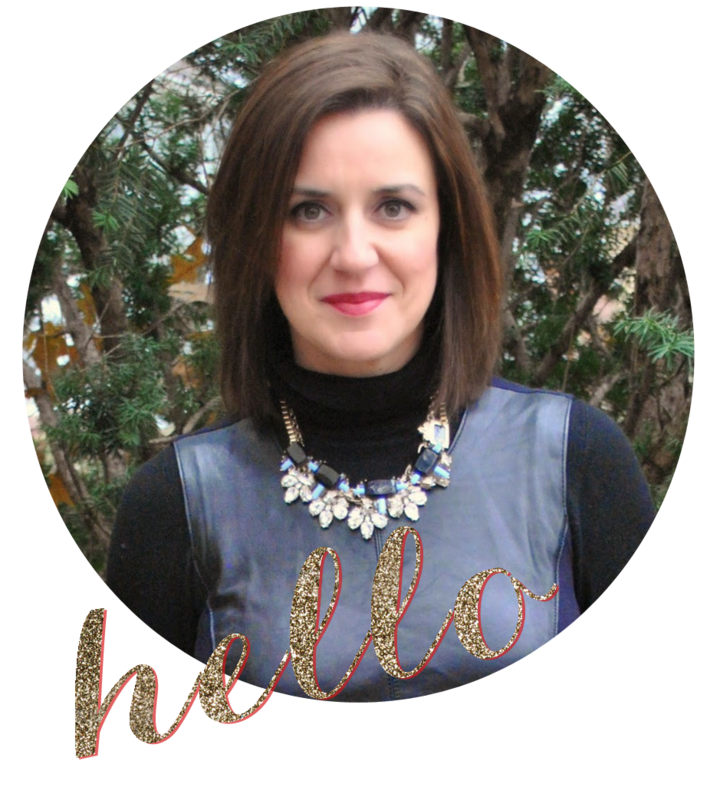 I'm talking about my likes, my obsessions, what's on trend, and what I think my customers would like most. I'm literally typing my fingers to the bone. And at times, I think they would look so much better with manicure! But the customers aren't biting and I'm starting to get worried. And I think I'm starting to lose friends! That's the thing about starting a business. You reach out and lean on your friends for support, but after a while, I think they grow weary of your constant Facebook posts, emails about promos, and texts about what I think the would love. There are days where I get ohs and ahs, days where I get an occasional "that's not really my style", and I get a lot of crickets! The crickets are what keep me awake at night. And let me tell you, over the last couple of weeks, there have been a lot of sleepless nights. And those sleepless nights are causing me to question whether or not I keep going. Yes, it's only been roughly four months, so it's a little early in the game to just stop, but the naysayers are in my head and starting to get at me. The ones who thinks it's not a good idea. The ones who told me that they wouldn't host parties before I even started the business. The ones who are crickets. For those of you who may not be familiar, there is a sweet little boutique on the Plaza called Tulip. I've worked with them often over the last several years and I was so excited when they asked me if I would participate in this month's Tulip Twist. 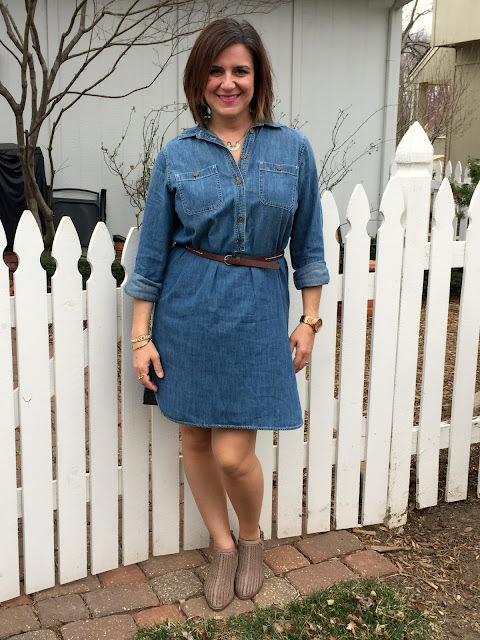 I was asked, along with a couple of other KC bloggers, to style this darling dress and I immediately thought of several different ways. I ended up going with a little dressier version that I thought would be a cute Easter look for later in the month. 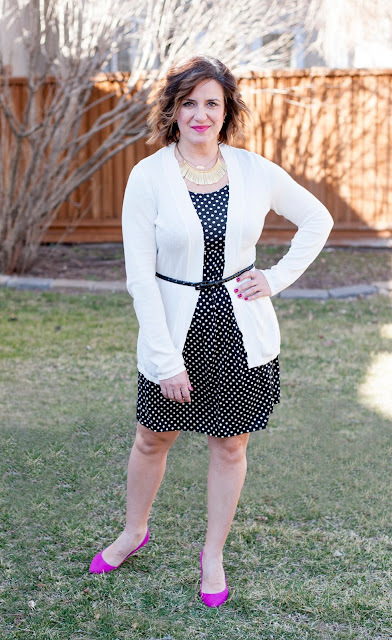 We don't really get dressed up for Easter anymore, but if I did, I would definitely wear this look. 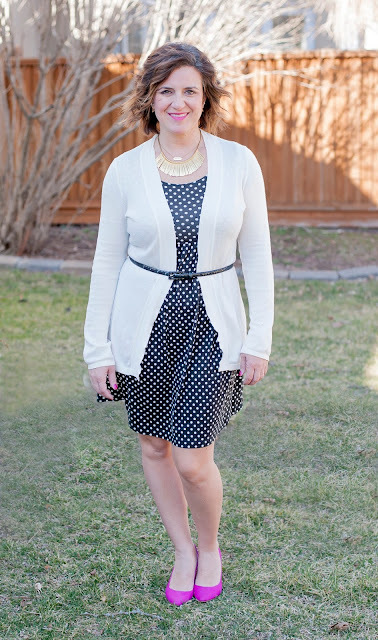 I also thought this would look cute with sandals and denim jacket for a relaxed version later this spring. And for summer, it would be darling over a swimsuit! The perfect little throw on dress! Head down this weekend and pick one up. And, shop some of the cute pieces they have for spring! 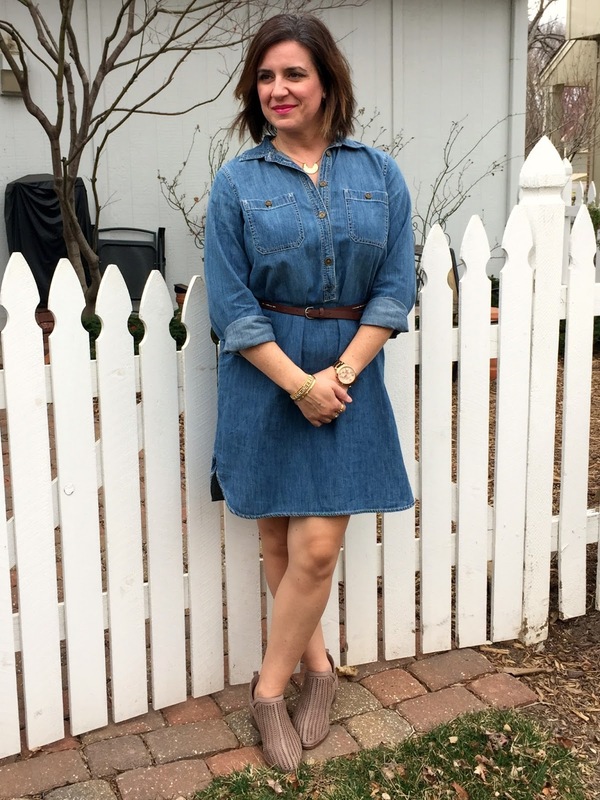 Want to see how others are styling this little dress? Head on over to their Facebook page and vote for your favorite look!